David is one of the leading bridge professionals in the UK, with numerous successes in domestic and international tournaments. Over the last 20 years, he has represented England and Britain at both Junior and Open levels of competition. David began playing Bridge as a teenager, and during his Junior career, he represented Great Britain in three European Championships, and several Channel Trophy, Peggy Bayer and Junior Camrose events. As he approached the end of his time as a Junior, David began teaching and playing Bridge for a living. During this time, he has represented England at the World Team Olympiad/World Bridge Games (2004 and 2016), the European Team Championships in 2012 (where England achieved a 4th place finish), 2014 (where they won a bronze medal - later upgraded to a silver medal following the disqualification of the winning Israeli team) and 2016, and the 2013 and 2015 Bermuda Bowl (at the latter finishing 4th after two extremely narrow defeats in the semi-final and bronze medal play-off). David’s achievements as a player include winning a whole range of domestic events – the Gold Cup (five times), Crockfords (twice), the Spring Foursomes (three times) and the Lederer Memorial Trophy (three times). However, David also plays in many major tournaments around the World, and his International achievements include a bronze medal in the European Open Teams (2005), and a 6th place finish in the 2006 World Open Pairs (the highest placing by an English pair in over 30 years). More recently, David has won the NEC cup in Japan (2011), and was a runner-up in the Vanderbilt (2011), one of the most prestigious team events in USA. David is a frequent visitor to the North American Bridge Championships, and has recorded several top ten finishes in major US pairs events including winning the Silodor Open Pairs (2013). In addition to representing England as a player, David has also coached the England Open Team at the World Teams Olympiad (2000) and the European Teams Championship (2001), and is involved with the England Junior squads as his children, Jasmine and Liam, are part of the teams. The other side of David’s professional life revolves around teaching Bridge. David is an accomplished teacher, and has taught thousands of students over the last ten years. 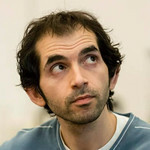 He has recently extended his teaching material by developing a ‘betterbridge’ series of tutorial bridge apps for the iphone and ipad, and creating his own website, www.davidbakhshi.com.